The most exhilarating thing was to be at Art School in the 60’s. Dressing up as an “Art Student”, long blonde hair, loads of eye make-up with (big) false eye lashes (I had a Saturday job in a shoe shop in Rayners Lane, people would come in to look at my eye make-up, not to buy the boring shoes!) White face and lips, all very bohemian, with an empty “artist’s folder” carried under the arm to complete the look! Then there were short skirts, mine were so short that my dad refused to walk with me to the tube on his way to work whilst I set off to Art School in my “vintage” fur coat, he swore I looked like I had nothing on underneath and he couldn’t stand the catcalls from the lorry drivers. At that time short skirts were worn with tights (a new invention) and flat shoes, so that the overall effect was that of an ingénue childlike innocence. 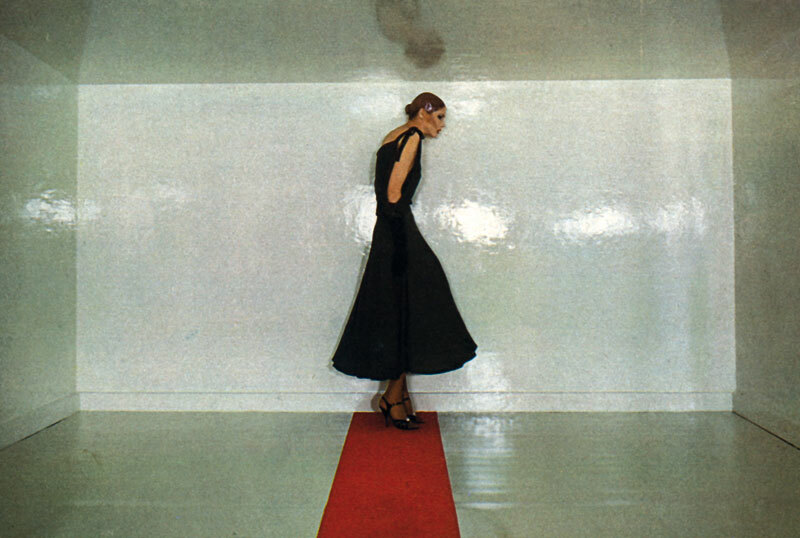 For the look – think Jane Birkin in Antonioni’s Blow Up. As you can guess, I was hooked on fashion. At the wonderful old Art School on Harrow High Street (pulled down years ago and replaced by a brutalist building and now part of the University of Westminster). I learnt so much, not least how to make a frock in a couple of hours to wear the same night to the clubs in Soho: the Marquee, The Scene, the Flamingo and the Whiskey A Go Go, or Eel Pie Island on the Thames. We saw The Yard Birds, Tubby Hayes, The Who, The Rolling Stones, Cyril Davis R&B All-Stars, The Animals and acts like the Ike and Tina Turner Revue with the Ikettes, in clubs the size of handkerchiefs. There was R&B, Modern Jazz and Blues and Folk all on consecutive nights. I had to have a new outfit every night. It was fast fashion. Art School taught you old fashioned things like how to draw, design and make clothes, shoes, jewellery, millinery, how to tailor, to cut and sew, how to toile on a stand and to print and weave fabrics and how to smoke. It was a fantastic education, both in life and skills. As in fashion, timing is everything and I was lucky to choose a career that was then relatively unknown, so it was one big adventure. The Royal College of Art was more of the same, but with the coolest social life. To win a place there was mega (there were only 12 places in my year, Bill Gibb was one of them.) 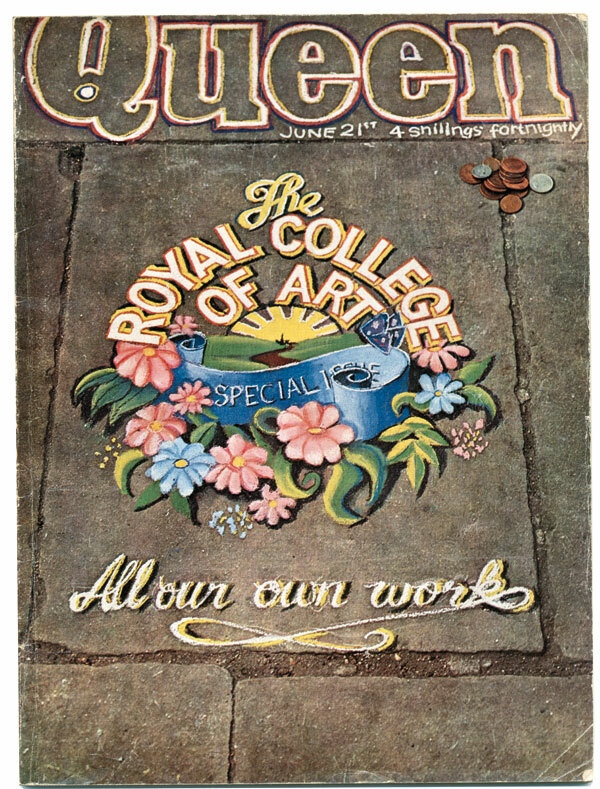 The RCA was the college where people like David Hockney, Ridley Scott and Ossie Clark studied. The college was the epitome of 60’s cool and style, it was about cutting edge modern creativity so I had high expectations, which, like most things in life, were followed by disillusion. Sadly, when the legendary Professor Janey Ironside left, it morphed into a bourgeois finishing school, Harrow was a hard act to follow! One of the most memorable things said to me during the three day long RCA entrance exam was: “You will be expected to play as hard as you work,” and I did! There were bar parties and all night events with films and groups like the Pink Floyd playing (once for an all night Halloween party, I sewed myself into a dress like a pumpkin and couldn’t go to the loo all night). I made lots of money doing fashion drawings for The Times, The Observer and all the fashion magazines like Petticoat and 19. A suitcase of lovely clothes would be delivered to me at the school in the Cromwell Road on a Friday night, just in time for me and the other girls to put them on and go to a bar party, then I stayed up all night to draw the clothes and piled them all back into the suitcase (reeking of fags and booze). It meant we didn’t have to make yet another outfit, the fashion editors never seemed to notice that the clothes were the worst for wear (they were probably out of it themselves). I later returned to the RCA first as Senior Tutor (with the fabulous Alan Couldridge) then as Visiting Professor and had the amazing luck to teach and befriend Philip Treacy. It all began with a visit from Anthony and Jeff Cooper, late one night, who peered into my wardrobe to look at the clothes I had run up. They liked what they saw and I started working for Stirling Cooper (not Mad Men), which was then about the coolest company out there! We had a shop in Wigmore Street (King’s Road and Carnaby Street were the usual location for boutiques, but we wanted to be different). The shop was decorated with Japanese painting and furniture; you went downstairs via a giant dragon’s mouth. What the local Harley Street doctors and patients must have thought as limos with darkened windows appeared and deposited rock stars, who descended, to lounge on cushions, look at clothes, and do as rock stars do. The clothes were so hot, queues of girls would line up outside Peter Robinson (Topshop) on a Friday night to wait for the next delivery. I had clothes in the window of all the best shops in London’s West End. Among our exciting contemporaries were Mr. Freedom, Biba, Alkasura, Palisades and Quorum, Universal Witness, The Sweetshop and the Hollywood Clothes Shop. Soon I wanted my own label, as did Anthony, he went to Plaza and I left with Jeff Cooper. We found a shop in Clifford Street, between Savile Row and Old Bond Street and together with Sheridan (who was already a big name) we started Coopers. We created an iconic brand, to me, Sheridan with his film star looks, was the epitome of style, it was the beginning of a magic partnership. We had two brilliant years. Everyone wanted or copied the clothes, which were featured in the press and magazines like Nova. Even my future husband, Nick Hosker (who was in films) bought and wore our clothes before I had even met him. And then there was Quorum. 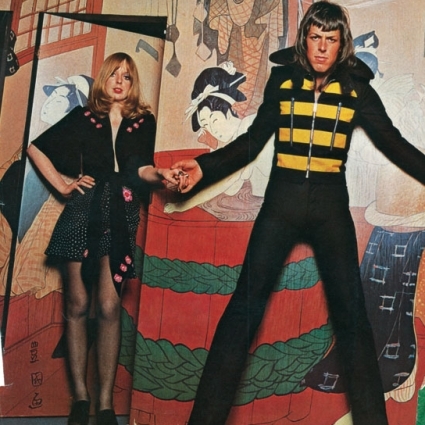 We took over from Ossie Clark and Alice Pollock and created mad clothes and staged crazy fashion shows. We each had our own studio with a cutter and sample machinist and we drew and painted all day. It was every designer’s dream job. It was insane, with Alice working on her collection, stark naked on hot days. Crazed models drifted into my studio and drank my cloudy paint water! Then we set up on our own in Covent Garden. Jeff Banks gave us space in his building in Macklin Street. At the same time I started a design studio co-op for newly graduated hot young designers called Queen Street Studios, it was located above Blitz, which became the mecca of the New Romantic movement, in Great Queen Street. 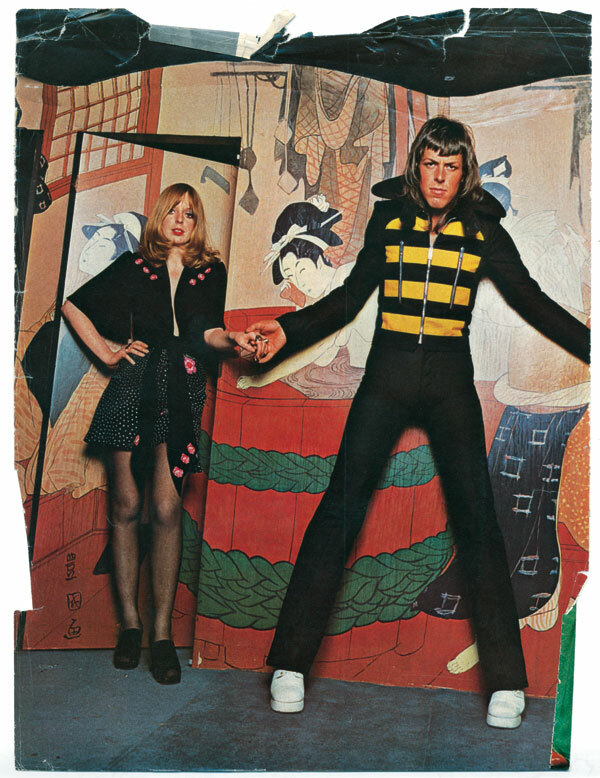 Sheridan and I made fabulous clothes, which anticipated the New Romantics. The clothes generated extensive coverage in magazines such as Ritz, 19, Company, Honey, Deluxe and Vogue. We hung out in the Zanzibar (also in Great Queen Street), Monkberry’s, The Embassy and the Coliseum for the Rock ‘n Roll nights. I became Course Director of the BA fashion course at St Martins for three years, Sheridan went on to do more wonderful collections, and we both continued to teach together. St Martins was one of the last bastions of the old Art Schools. The students were taught all the craft skills needed to be truly creative designers, whilst remaining truly bohemian with outrageous students. 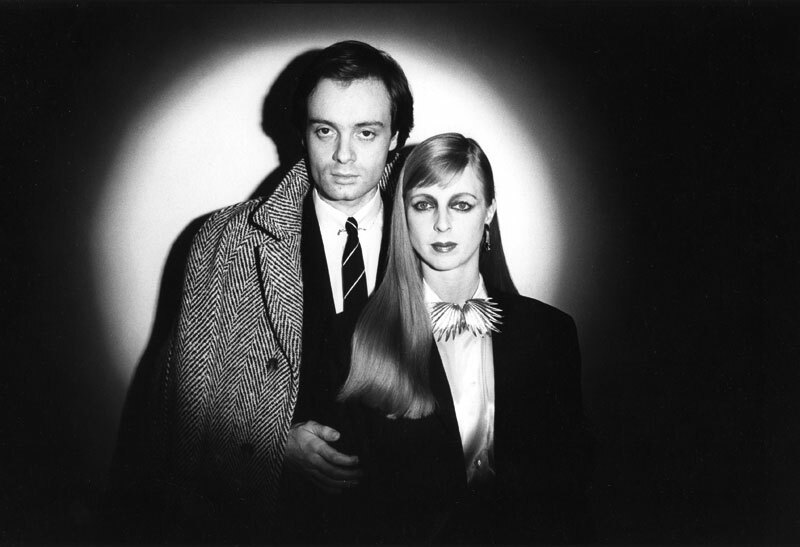 There were the New Romantics: Steven Linard, Darla Jane Gilroy, Fiona Dealey, Richard Ostell, Franceska King and Robin Archer (of Demob), as well as people like John Galliano, Stephen Jones, Amy and Grace Li, Sade, Hamish Bowles and Iain R. Webb and too many more to name here. Chris Sullivan (who formed Blue Rondo à la Turk) ran all the best clubs. He came to his interview in full pirate gear, in which he travelled by train from his home in a mining village in deepest Wales. He must have got some strange looks! There was a very conservative needlework teacher called Miss Watling who was going country dancing, dressed in a full dirndl outfit consisting of a bodice, blouse, full skirt and apron; after a needlework evening class, she pressed the wrong lift button and to her amazement the lift shot down, the doors opened and she was shocked (as were the people in the club) to find herself in the Le Beat Route club which was in the basement of the College, as it so happens her outfit was not too out of place. 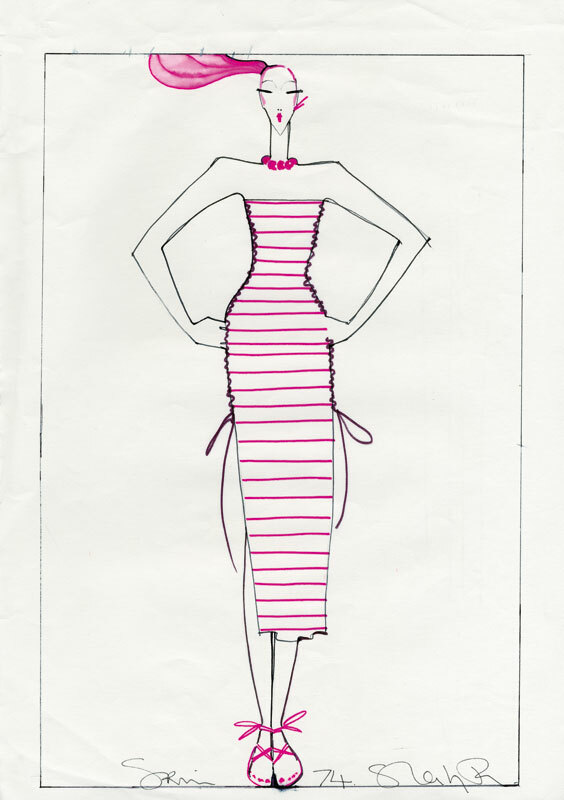 Kim Bowen, stylist for Ritz magazine epitomized the spirit of St Martins, she would arrive at midday wearing yet another Stephen Jones hat, full on make-up, once she brazenly produced some work, drawings of herself, depicting some good blouses but naked from the waist down. My response was: “When you choose to wear that ‘look’ to college I might choose to comment.” (She was the door diva at Steve Strange’s Club for Heroes and always ushered us to the front of the line).